Attic ventilation is critical to the health of your roof, whether you have asphalt shingles or metal roofing. High levels of moisture in the attic can ruin your roof and damage your home. As your reliable roofing contractors, we are committed to educating homeowners about attic ventilation. 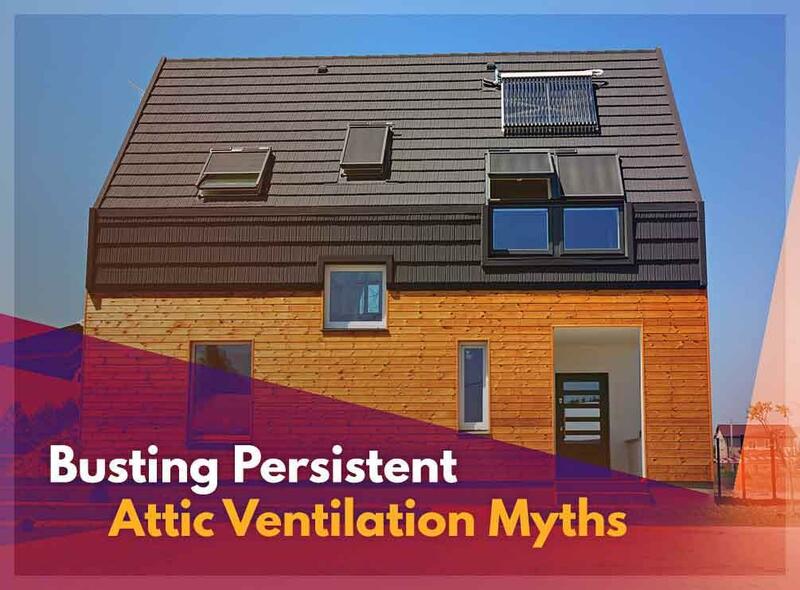 Read on as we debunk some common myths about how attic ventilation works. Any excess is bad, and when it comes to attic vents, having too many does more harm than good. Additional intrusions into your roof can make it vulnerable to any external hazards like sparks, leaks and even blowouts. We recommend having exactly the proper number of vents appropriate to the size of your attic to prevent this issue. Some believe the sole purpose of vents is to combat the scorching heat of the summer season. However, vents are also essential in winter. Vents allow you to properly release surplus heat generated indoors, which is important in melting the ice on your roof. Proper venting of heat through your roof allows distributed heating that prevents ice dams from forming on your gutters. Warm air is essential in winter so the idea of it leaving through your vents might give you pause. However, roof vents don’t release excess heat; in fact, they can actually help maintain a warm temperature inside if they’re properly installed. In addition to our roofing services, we provide gutter installation and fiber cement siding installation. You can contact us at (601) 202-4366 and get a free estimate. We provide our services in Jackson, MS.